Turf sweeper for efficient collection of mowed material, leaves and other debris on sports, decorative, and utility turf. 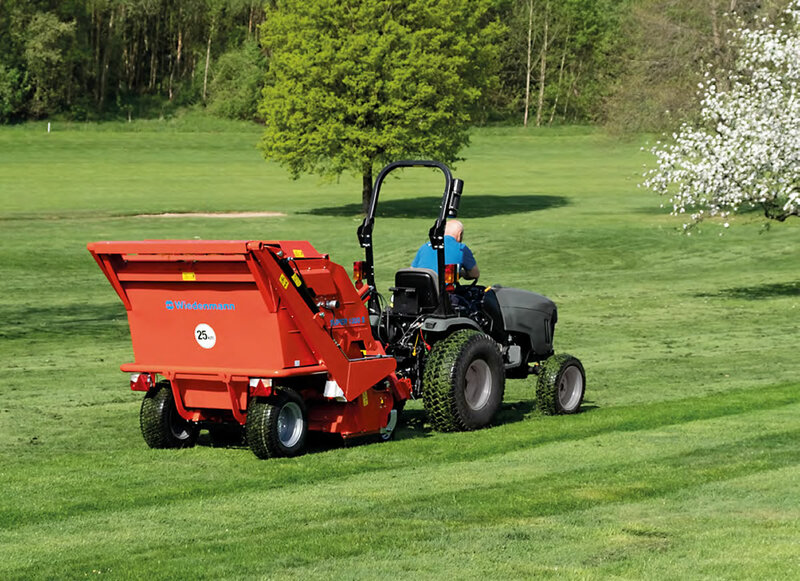 SUPER 1300 S is a very compact turf and leaf sweeper for use on sportsgrounds, public green areas and residential areas. Its pick-up head is mounted in parallel so that the distance between ground and sweeping brush remains constant, regardless of the fill level, and thus adapts to undulating terrain. The machine includes an overhead high dump feature as a standard which allows for emptying intohe standard containers. It is mounted into the lower link arms of the tractor´s rear 3-point hitch. With its pivot point directly in front of the machine it ensures precise running behind the towing vehicle. If you are interested in our SUPER 490 / 500/ 600 / 1300 use the quick enquiry form below.